Intel, proud partner of Cakewalk- industry leaders of music creation and recording software- has successfully launched the Intel "Superstars" Finals Competition powered by OurStage.com. In July of 2010, all pop, rock, country, singer-songwriter, urban and Latin artists were invited to upload their best original track into the Intel "Superstars" Competition Channels. Now the Top 20 ranked artists in each of the Intel "Superstars" Competition Channel have automatically advanced to the Intel "Superstars" Finals Competition. NO NEW ENTRIES WILL BE ACCEPTED. Now the Top 20 superstar hopefuls are automatically eligible for a $10,000 cash grand prize to be awarded in January 2011 by a panel of industry experts. Just think what this cash prize could be used for: recording, touring the country really anything a superstar needs! Artists must be eighteen (18) years of age or older at the time of entry. Individual artists or a band member must be a legal resident of the 50 United States. Accepted genres must fall into the pop, rock, country, singer-songwriter, urban and Latin genres as defined by OurStage. 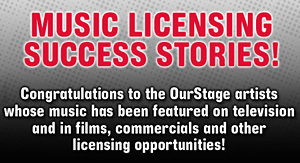 All entries must be acceptable for radio airplay with clean lyrics and artists must complete their OurStage EPK.